The mountains around Vail offers maximum outdoor fun for families of all ages – from ice skating and sledding to skiing. 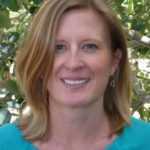 Vail local Mountain TravelingMom shares her favorite things to do with kids in Vail this winter. Skiing is only one of a plethora of winter wonderland family activities. From ice skating and sledding to s’mores by the fire, there is sure to be something to please everyone in your family. 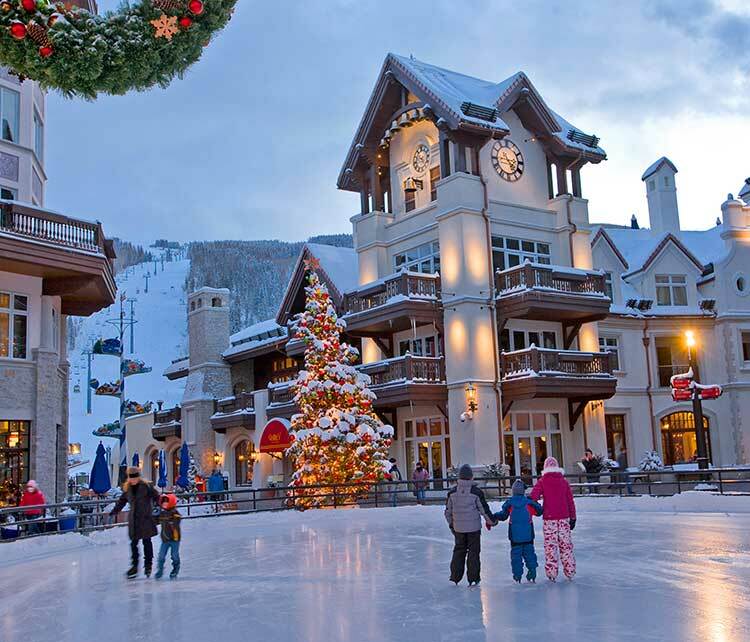 Vail is a winter wonderland for families. There is much to do and see in addition to epic skiing and on-mountain activities. The options of outdoor activities in Vail in the winter are endless. The mountain environment offers maximum outdoor fun for families of all ages – from ice skating and sledding to skiing. 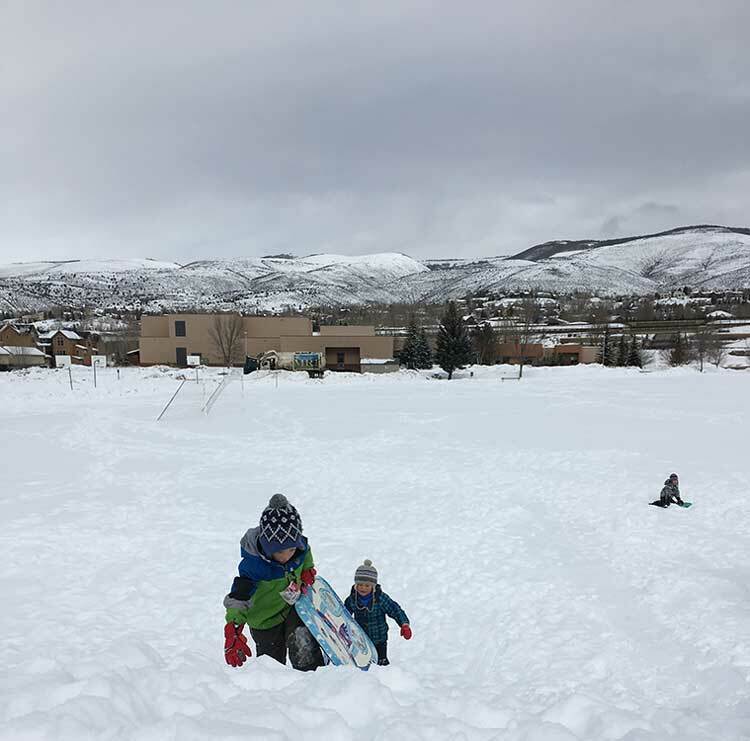 As a local Vail area family ranging in age from 5 to 50-years-old, we are happy to share some of our favorite things to do in winter with kids. Take the kids to Imagination Station in the Lionshead Parking Structure for a morning or afternoon of play. A thoughtful play space, Imagination Station, features a Thoughts Flow to inspire experimental play, a Play Wall to integrate physical and cognitive learning, a light table and builder boards that inspire problem-solving, and a hyperbolic funnel that models planetary motion. New this winter are a couple of virtual reality rooms for older kids. Also, check their schedule for a pottery making or art class. Many of the Vail hotels offer complimentary hot cocoa in the lobby or s’mores by an outdoor fire. Take advantage of this or make your way out to a local spot known for its yummy hot chocolate after a day of outdoor adventures. Rimini in Lionshead Village next to the skating rink is known for having delicious hot cocoa. 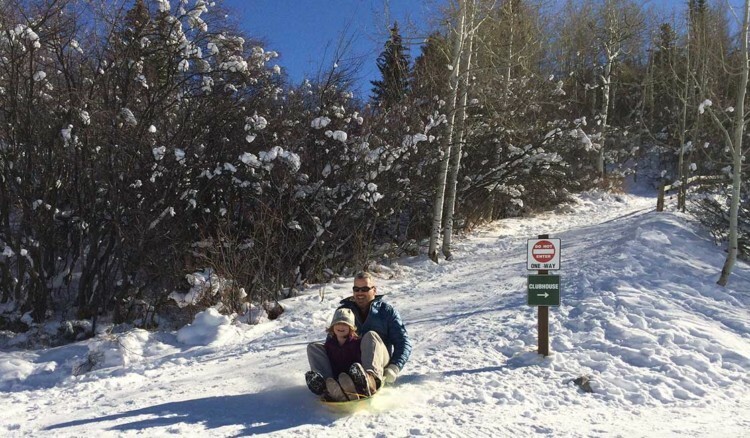 There are many fantastic Vail area sledding hills that the whole family will enjoy together on your Vail family vacation. Some Vail hotels offer loaner sleds for guests to enjoy. There are many fantastic Vail area sledding hills that the whole family will enjoy together. Don’t want to leave the village? Then head up to Adventure Ridge for tubing. Tubing, Ski Biking, Snowmobiling or Flying Down the Alpine Coaster at Adventure Ridge. Adventure Ridge sits atop the Eagle Bahn Gondola out of Lionshead and offers fun activities for the family. The new Forest Flyer alpine coaster winds its way 3,400 feet down the mountain, following the natural contours of the landscape through the forest. Fun adventures tubing, ski biking, and snowmobiling are also offered from Adventure Ridge. Hot Tubbing (or Swimming). 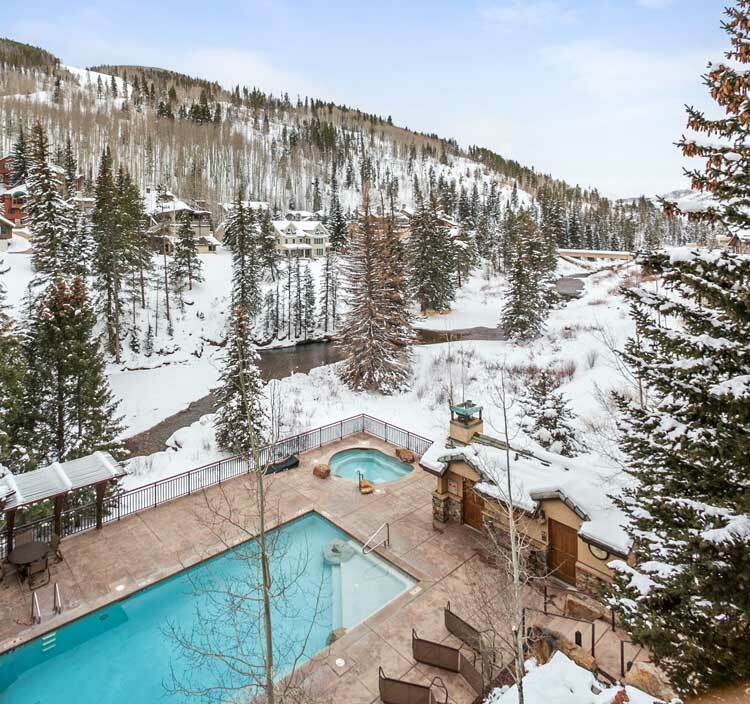 Most of Vail hotels have a heated pool and hot tubs. There’s nothing better than relaxing in the hot tub with snowflakes drifting down after a day on the slopes. Vail has two scenic outdoor ice skating rinks, one at Solaris in Vail Village and one in Vail Square next to the Arrabelle in Lionshead Village. Gliding on the ice with your family is a fun way to spend an afternoon in Vail. However, if you are a more serious skater you might want to spend some time at the Dobson Ice Arena. This is probably why you have chosen Vail for your family vacation so this is already a part of your plans. But we can’t leave it off the list. New in 2017 Vail Mountain has designated 63 acres to family learning and designated slow zones. All zones are located on beginner green runs and progress across the mountain from Eagle’s Nest to Game Creek. With 5289 skiable acres, 195 runs and 31 lifts there’s a variety of terrain for skiers of all abilities. Visiting a different ski resort than Vail this winter, check out highlights for our favorite Colorado ski resorts. Or, if you prefer summer over winter read about a summer multi-generation Vail adventure. All ages will be able to find something they love doing on your Vail family vacation. Have fun and enjoy your time in the winter wonderland!